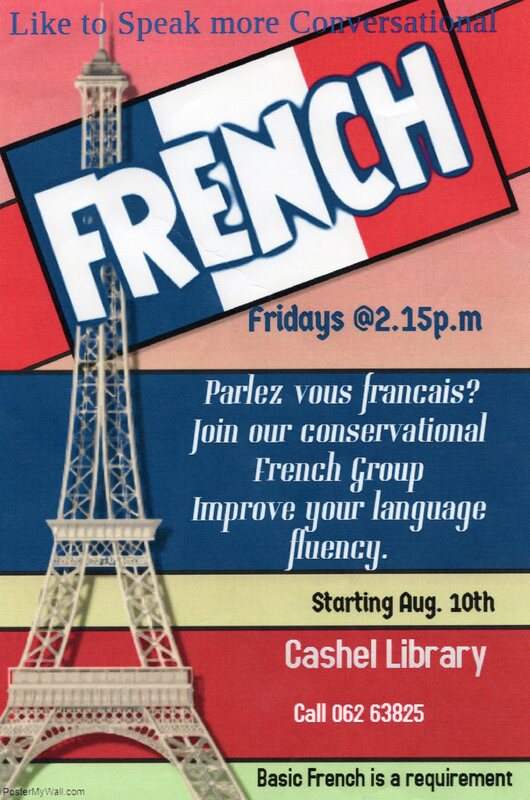 Our French Conversation Group returns to Cashel Library on Friday the 10th of August at 2.15pm, and will continue every Friday from 2.15pm-3.15pm. The group will be facilitated by French native Christine! This is a great opportunity for French learners of all levels to improve their French! Basic French is a requirement.